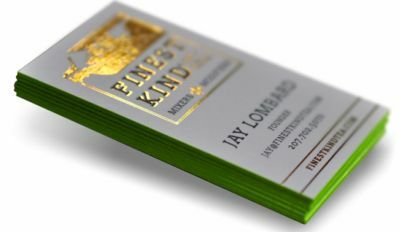 Silk Business Cards are thick business cards that have been laminated with a smooth, satin silk coating. They are full color and look awesome. We can emboss add, foil stamping, spot UV and rounded edges to really make your silk business card pop.